Millions of Americans tune in every week to watch the smash hit show “Duck Dynasty,” which follows the unique and eccentric Robertson family. 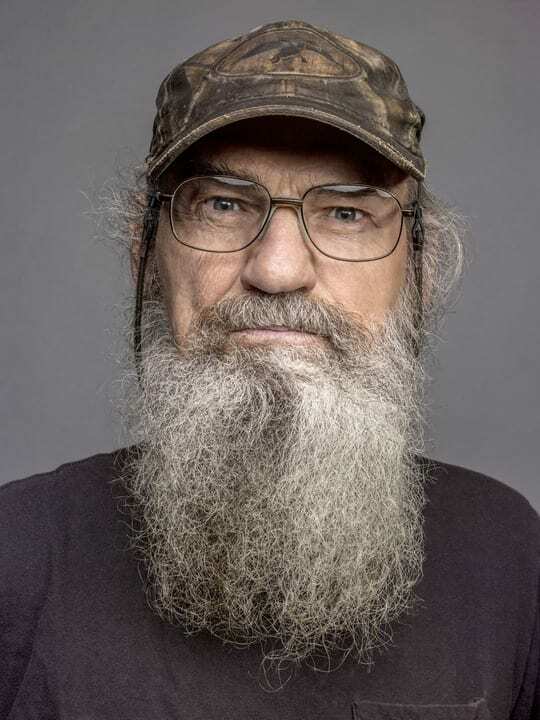 Among the show’s most popular characters is Uncle Si, who is the brother of the family’s patriarch, Phil Robertson. Si had already garnered plenty of attention and curiosity from fans from the show, but a recent book he’s written, “Si-Cology, Struggles and Tales From the Robertson Family’s Favorite Uncle,” has shed even more light and interest on Si’s unusual life. One of the most interesting details Robertson divulges in his new memoir is that he has, in the past struggled with substance abuse and mental health issues. In his book, Si reveals that he has a “faulty” mind, which is his terminology for naming his struggles with mental illness. Like many who deal with mental health issues, Si has a family history of psychological issues. His mother apparently suffered a nervous breakdown and was admitted to a number of mental health facilities when Si and Phil were young boys. It seems that the Robertson boys’ mother suffered from manic depression. Si, who no longer drinks alcohol, is a recovering alcoholic. When he was younger, he served in Vietnam, which he recalls being a difficult time in his life. During this dark time, he began drinking constantly, and became heavily addicted to alcohol. He became troubled by the highly negative impact alcohol was having on his well being, and stopped drinking when he returned home. Robertson is now a literal teatotler - he drinks excessive amounts of tea on a daily basis. As a sober and healthy person, Si is able to enjoy the company of his immediate and extended family. The family became very wealthy by selling a product called “Duck Commander,” which generates duck calls and can be used by duck hunters. Si plays an important part in the family business because he manufactures the reeds that are used in the callers. Si’s story of recovery serves as a message of hope for any person whose life is being destroyed by an addiction to alcohol. Alcoholism is a very dangerous and destructive disease that attacks every vital part of a person’s life. When a person is addicted to alcohol, they begin to lose a grasp of their health, their personal relationships, and their ability to properly do their job. This often causes a spiral of depression, which triggers more drinking. Until a person is truly able to stop drinking, they are likely to watch their problems worsen and become more unmanagable. When, however, a person like Si stops drinking and becomes committed to a lifetime of recovery, they may suddenly find all of the things in their life that seemed damaged or lost come back to fruition. Sober living means having the ability to maintain meaningful relationships with their family, as Si does with his wife Christine and their sons and grandchildren. Sobriety also brings about a level of clarity and productivity that can allow a person to perform at the top of their ability, and even play a huge part in a highly profitable family business. If you are addicted to alcohol, or feel that your drinking has begun to spin out of control or land you in a period of depression, you should not feel that all is lost. A healthy and happy life is ahead of you, but first you must take the steps to stop drinking and start living the life you actually want.